At around 9.20am on Sunday 13 August 2017 a member of the public contacted Dorset Police to report that a Tesco Bag for Life had been found hidden inside a plant pot outside The Potting Shed off the High Street. 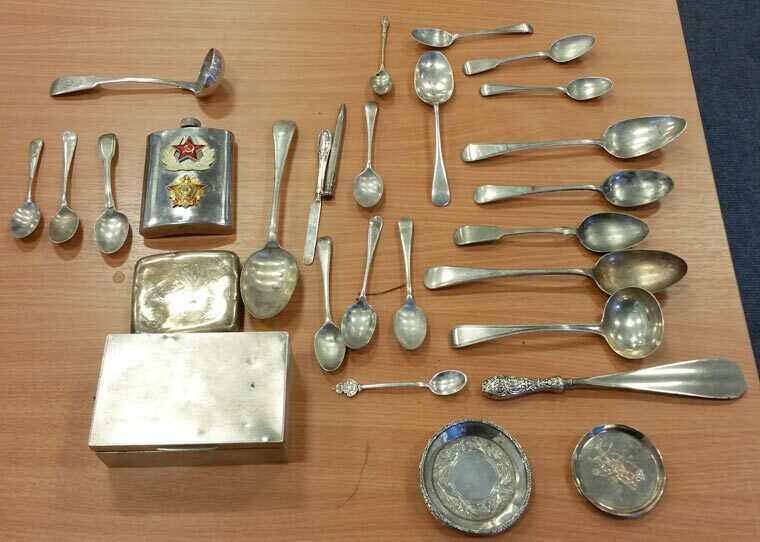 The bag contained items of silverware including spoons of various sizes, a small box, a cigarette case and a hip flask. Police Constable Glen Caddy, of North Dorset police, said, “Some of the items are engraved and are therefore particularly distinctive. Anyone with information is asked to contact Dorset Police at www.dorset.police.uk, via email 101@dorset.pnn.police.uk or by calling 101, quoting occurrence number 55170124874. Alternatively contact Crimestoppers anonymously on 0800 555111 or via www.crimestoppers-uk.org.